Success two days earlier in the Girls’ Team event, lining up alongside Chen Ying-Chen and Chen Ting-Ting; Chinese Taipei’s Su Pei-Ling added to her collection of titles at the 2017 Slovak Junior Open in Düsseldorf on the concluding day of play, Sunday 4th June. 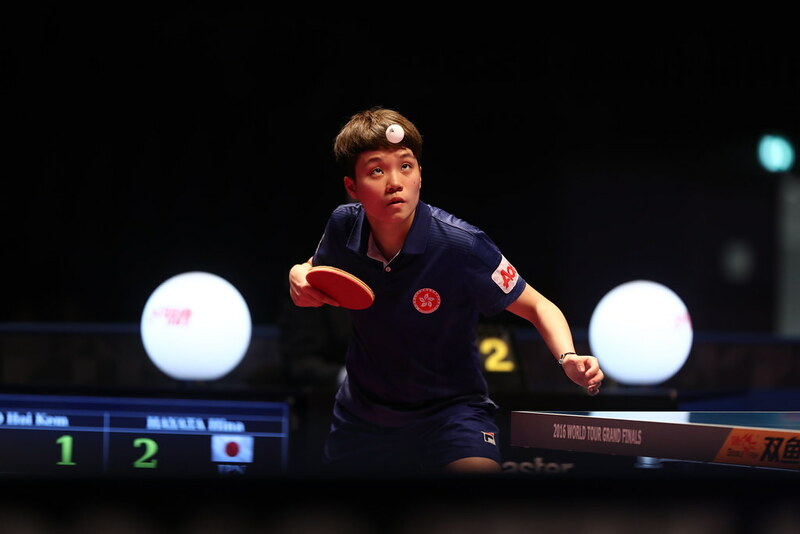 She partnered Chang Ju-Chia to Girls’ Doubles success, before clinching the Girls’ Singles title, in an event that was dominated by Chinese Taipei. Notably, in the latter stages Su Pei-Ling, the top seed, overcame a series of compatriots. At the quarter-final stage, she beat Chen Tzu-Ting (8-11, 11-5, 11-4, 5-11, 11-7, 11-7), before accounting for Chang Jun-Chia, the no.11 seed (11-8, 11-9, 11-3, 11-3) and Chen Ting-Ting, the no.3 seed (7-11,11-9,11-8,11-5,7-11,11-7) to secure the title. In the opposite half of the draw, Chen Ting-Ting had ousted Croatia’s Andrea Pavlovic, the no.4 seed, in the round of the last eight (11-8, 11-2, 11-4, 11-5), before ending the hopes of Poland’s Anna Wegrzyn, the no.5 seed in the semi-finals (9-11, 9-11, 11-9, 11-9, 11-7, 11-5). Notably one round earlier Anna Wegrzyn had beaten Chen Ying-Chen, the no.2 seed (11-9, 12-10, 9-11, 11-7, 11-9). Meanwhile, in the Girls’ Doubles event, at the final hurdle, Chen Ting-Ting and Su Pei-Ling, the top seeds, accounted for colleagues Chang Ju-Chia and Chen Ying-Chen, the no.2 seeds (11-4, 11-7, 11-8), having at the semi-final stage overcome Poland’s Julia Slasak and Agata Zakrzewska, the no.6 seeds (11-6, 11-8, 11-8). Somewhat surprisingly one round earlier, Julia Slasak and Agata Zakrzewska had beaten the Croatian combination of Andrea Pavlovic and Aleksandra Vovk, the no.3 seeds (11-6, 11-3, 11-8). In the adjacent half of the draw, in the penultimate round, Chang Ju-Chia and Chen Ying-Chen had overcome Poland’s Anna Wegrzyn and Kararzyna Wefrzyn, the no.4 seeds (11-8, 11-9, 11-6).